It’s that time … EXAM TIME! … we all want our children to do well when it comes to their schooling. Children these days are under a lot of pressure to do well and the environment we live in is ultra-competitive. . But is this such a good move? Is it possible that doing this is harming your child’s ability to do well? The research and it is a lot of research, suggests YES! One of the things that stands out and can help your child improve their study and could even give your child that extra edge, is in fact what they do at our Academy. Exercise – It is that simple. Primarily a lot of the research had looked only at adults but a growing and now large base of research supports its benefit for children as well when it comes to improving study abilities. 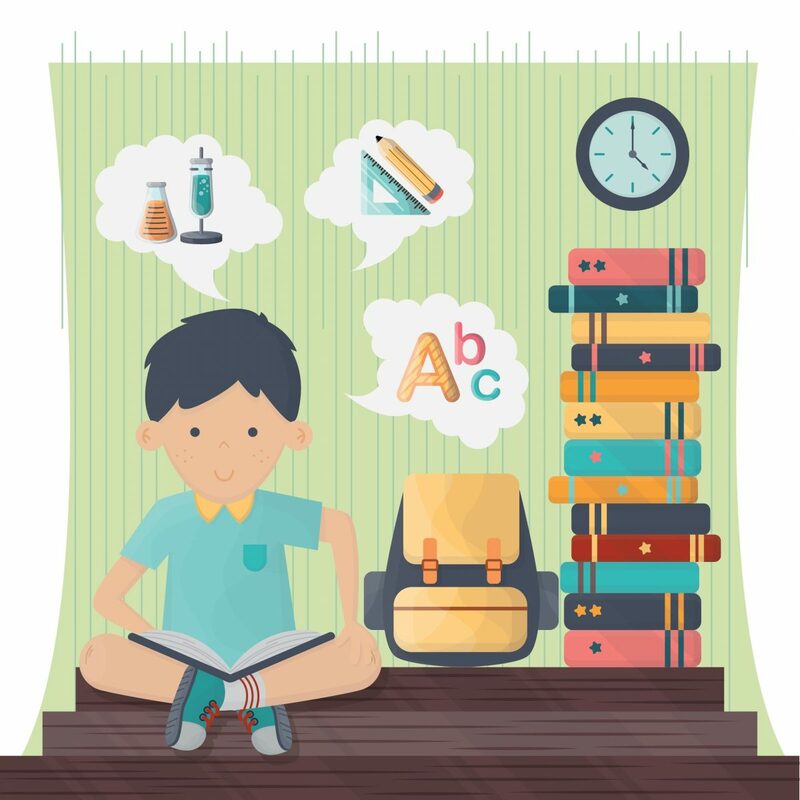 Whether it be some form of sports, a game (requiring physical exertion) or a short bout of exercise (as little as 20min) there is a large amount of research to support that exercise improves your child’s chances of doing better when it comes to learning and doing better in tests including doing well at school in general. The benefits of exercise have shown to have a positive effect on decreasing stress levels, we all know that too much stress can lead to affecting our mental abilities and feelings of wellbeing, even causing sickness. By exercising you help keep this at bay – Norris, Carroll & Cochrane (1992), Haugland, Wold & Torsheim (2003). At the Academy, we are very supportive of our players’ education, we want to make a difference, and in any way we can, not just on the field. So, making sure they get in some regular exercise during exam study time is a great way of not only helping them learn but also keeping them healthy and drop the stress levels which are often heightened during this time. Budde, H., Voelcker-Rehage, C., Pietraßyk-Kendziorra, S., Ribeiro, P., & Tidow, G. (2008). Acute coordinative exercise improves attentional performance in adolescents. Neuroscience letters, 441(2), 219-223. Ellemberg, D., & St-Louis-Deschênes, M. (2010). The effect of acute physical exercise on cognitive function during development. Psychology of Sport and Exercise, 11(2), 122-126. Haugland, S., Wold, B., & Torsheim, T. (2003). Relieving the pressure? The role of physical activity in the relationship between school-related stress and adolescent health complaints. Research quarterly for exercise and sport, 74(2), 127-135. Hillman, C. H., Pontifex, M. B., Raine, L. B., Castelli, D. M., Hall, E. E., & Kramer, A. F. (2009). The effect of acute treadmill walking on cognitive control and academic achievement in preadolescent children. Neuroscience, 159(3), 1044-1054. Norris, R., Carroll, D., & Cochrane, R. (1992). The effects of physical activity and exercise training on psychological stress and well-being in an adolescent population. Journal of psychosomatic research, 36(1), 55-65. Pesce, C., Crova, C., Cereatti, L., Casella, R., & Bellucci, M. (2009). Physical activity and mental performance in preadolescents: Effects of acute exercise on free-recall memory. Mental Health and Physical Activity, 2(1), 16-22. Sibley, B. A., & Etnier, J. L. (2003). The relationship between physical activity and cognition in children: a meta-analysis. Pediatric Exercise Science, 15, 243-256. Taylor, A.H., & Faulkner, G. (2008). Inaugural Editorial. Mental Health and Physical Activity, 1, 1-8. Williams, A.M., Davis, K., & Williams, J.G. (2000). Visual perception and action in sport. London: Spon Press (pp. 96-142).